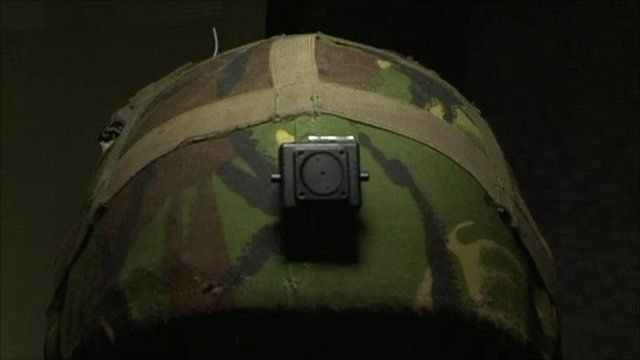 Helmet-mounted cameras mean live video can be sent direct from the front line back to headquarters. This technology enabled military and intelligence chiefs to closely monitor the developing situation as US Navy Seals raided Osama Bin Laden's compound in Pakistan. President Barack Obama is understood to have seen real-time footage of the approach to the compound but no direct video feed from the operation itself. Gerald Fairbairn from UK security communications firm Indicomm demonstrates how live footage would have been sent from helmet-mounted cameras.